Primary Industries Minister Nathan Guy and Conservation Minister Maggie Barry have announced that wilding pines control work has nearly reached its first-year target of a million hectares, in a press release. 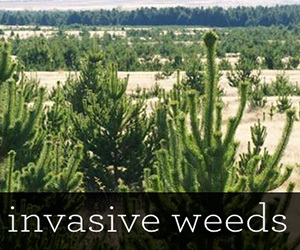 Wilding conifers compete with native plants and animals for sunlight and water and can severely alter natural landscapes. Unwanted wildings already cover more than 1.8 million hectares of New Zealand and until now have been spreading at about 5 per cent a year. If left unchecked, 20 per cent of New Zealand will be covered in unwanted wilding conifers within 20 years. The National Wilding Conifer Control Programme was put in place in 2016 to prevent their spread and systematically remove them from much of the land already taken over. Control work has involved targeted aerial spraying of individual trees in remote areas where there is light wilding infestation, and ground control in more heavily infested areas. The programme this year covers 14 initial priority areas, including extensive areas of conservation land and farmland in Central North Island, Marlborough, Canterbury, Otago and Southland. Wilding conifers are notoriously difficult to eradicate once they become established, making prevention the best form of management. Removing young seedlings before they start producing seeds costs less than $10 per hectare, but removing mature trees can cost over $10,000 per hectare. Wilding pines control work has nearly reached its first year target of a million hectares, and the Wilding Conifer Control Programme has already started preliminary planning for 2017/18 control operations.